Unlike any other course, we did not read cases in Law Office Management. We did not brief anything. There was no hornbook law to learn. The graduation requirement carried maybe one credit hour, but at Campbell attendance remained mandatory nonetheless. In importance and, therefore, attention given on my part, it ranked right up there with the Client Counseling Competition, and discussing how many angels could dance on the head of a pin in Jurisprudence. I kid you not. In one assignment we used carbon-paper time-slips to practice hourly billing and review our efficiencies, or lack thereof, in six- minute increments. That’s how the app got its name. They were slips of paper with scribblings of our time. We maybe also drafted a couple engagement letters, Contracts of Employment, and a Declination of Representation correspondence, with the requisite thanks and niceties for considering the firm during a time of need. Graciously declining a bad case was almost as important as landing a good one. Of course this was during an era before Time Matters® or Amicus®, so I remember our professor showing us how to open a case and what information might be helpful to have on the inside of a legal-sized, manila file- folder. I remember a fair amount of discussion about the value and utility of a good hole-puncher that could handle both standard two-hole and three-hole formats. On-Line caselaw searches used a “box” so comical that would be best described as a Speak-and-Spell® looking device. As a result, in Law Office Management we talked about how and where to do legal research, with books, for free. Our professor encouraged us to limit overhead, not to buy all the reporters, or waste money on things like a new car or fancy office space. He taught us how to act in Court, how to always be early, to call every lawyer by their first name, saving “Mr.” for the most senior, semi-retired, or just plain ornery, practitioners. Having now started my twenty-fifth year in the occupation called the practice of law, with saw in hand, eyeing client chairs, it makes sense to occasionally share what I have learned from Rick Rogers, Professor of Law Office Management. Here is what I know: Rick Rogers was not eccentric. He was nothing less than prescient in the adaptation of technology, while never forgetting that kindness and serving others were important parts of being a lawyer . . . or at least the type of lawyer I wanted to be. Rogers taught good-old-fashioned, common sense manners that despite the ubiquity of technology and perhaps even because of it, are as relevant and necessary to a successful law practice as ever. Indeed, he was anomalous in that he was not really a standard teacher-of-law. He was better, way better, than that. Rick Rogers was a real live, in-the-trenches lawyer and businessperson. Prior to entering the world of academia, he dealt with clients and the courts. He had met a payroll, covered the rent, and kindly excused yet another day off by staff due to a sick child or personal issue. Yes, Rick Rogers was different from traditionally esoteric, stodgy law professors. Rick Rogers was a lawyer’s lawyer. He taught me more relevant truths and practice-tips than any other professor in law school. And although we heard some occasional oddities in class, he focused time and again on what he believed was an incredible thing of value to a practice: Paralegal and Legal Support Staff. It took me years of mistakes, apologies, and the occasional hard lesson to appreciate and savor the simple credo Professor Rogers both extolled and lived. In an era not known for work-place equality or pay, Professor Rogers shared the value of valuing staff. He stressed the importance of properly developing and keeping good paralegals. He spent time thinking of ways to give additional days off, to reward hard work, dedication, loyalty, and excellence. What I have figured out in the practice of law is that not only, as my grandfather RL used to say, it’s “nice to be nice,” but being kind and treating our professional legal staff with courtesy and respect just makes good business sense. While I generally disdain and therefore avoid the terrible task of “getting rid” of anyone, knowing everyone should, for at least a season, serve a vital role and function in our office, in some measure he was right. I do tend to take up for the paralegals. That’s probably because before I could afford to hire a legal assistant, I was the legal assistant . . . and attorney. I am a lawyer and I know, generally, how lawyers think and what motivates them. For the life of me I don’t get how paralegals put up with us and clients at times. They carry tremendous work-loads and responsibilities. Going to court is the easy part, especially knowing files are in order and clients have been reminded to be there. Paralegals do not work for us; they work with us and are an integral part of the firm. They are patient. They are kind. They do not boast. They are not easily angered. They rarely keep record of wrongs. They always protect, always trust (but verify), always hope and always persevere. Without our professional legal staff, we simply could not provide, with any level of consistency, quality legal services that help make the lives of our clients better. Going through the process and legal system is secondhand to us as lawyers. Ignorance of the complexities and uncertainties of the courts causes a tremendous amount of anxiety for clients. Try as I may to reassure people and ex- plain an at times rough-and-tumble system, no one does it as well as Danny, Emma, and Lauren in our office. Although technology in the industry will continue to be important, I do not believe a device or application will ever replace the value of a kind word or timely placed, reassuring telephone call by an experienced professional legal assistant. It gives me great pride knowing we, the North Carolina Advocates for Justice, were one of the first Professional Legal Organizations in the nation to grant full membership to Paralegals and Legal Professional staff. We have a section dedicated to Paralegals. We regularly provide continuing education seminars for Legal Support staff. We encourage lawyers and law offices to bring staff into the fold. The Chair of the Legal Assistants Division is a voting member of the NCAJ Board of Governors. Last year as President-Elect, I was Chair of the Nominating and Awards Committee. It can be tough selecting the recipients of our legal accolades, given the number well-deserving members, media, and Judges whom embody the highest ideals of our beloved organization. If you were unable to attend #JusticeCON 2016, you missed the presentation of the Kellie Crabtree Award to my dear friend, Seth Langston. Hearing his client’s story and basis for legal help was touching. That message of compassion, patience, and perseverance left few eyes in the room dry. And yet, we, NCAJ, missed something in the presentation of the Kellie Crabtree Award. We have been missing it for years. Unsurprisingly, Seth, man of character that he is, pointed out a glaring oversight. It was so obvious; frankly, it hurt my heart because it was true. There is nothing more searing to the soul than truth. What Seth pointed out is something we must fix from this point going forward. We missed the fact that both the client and attorney, whom shared a compelling tale of trials-and-tribulations, repeatedly thanked one person whom received no award. That person was mentioned by name, time-and-again, and thanked as an equal in the success of the action by both Seth and the client. That person is Seth’s friend, Seth’s co-worker, Seth’s confidant, Seth’s paralegal, Mrs. Fran Thresher. She drove to Wilmington see Seth receive the Kellie Crabtree award. She sat in the front row, nodding with approval during the ceremony, and deeply hugged the client whom traveled from Florida to give praise to both Seth and the North Carolina Advocates for Justice. How is it we do not have an individual award that recognizes truly exceptional work by a Paralegal or Legal Assistant? Thanks for a job well done are not enough and because of that, please take note that the first NCAJ Award for Excellence as a Paralegal, Assistant, or Professional Legal Staff Member was presented during a special ceremony in October at Mountain Magic 2016 in Asheville. Please also join me in congratulating Paralegal Mrs. Fran Thresher in being recognized for her exceptional service, dedication, and compassion to clients. This article was reprinted with permission from the October 2016 issue of Trial Briefs. 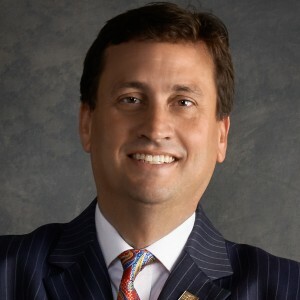 Bill Powers is a partner with Powers McCartan, PLLC. His practice areas include Impaired Driving, DWI, DUI, Traffic Offenses, and Criminal Defense. He is the President for the North Carolina Advocates for Justice (2016).